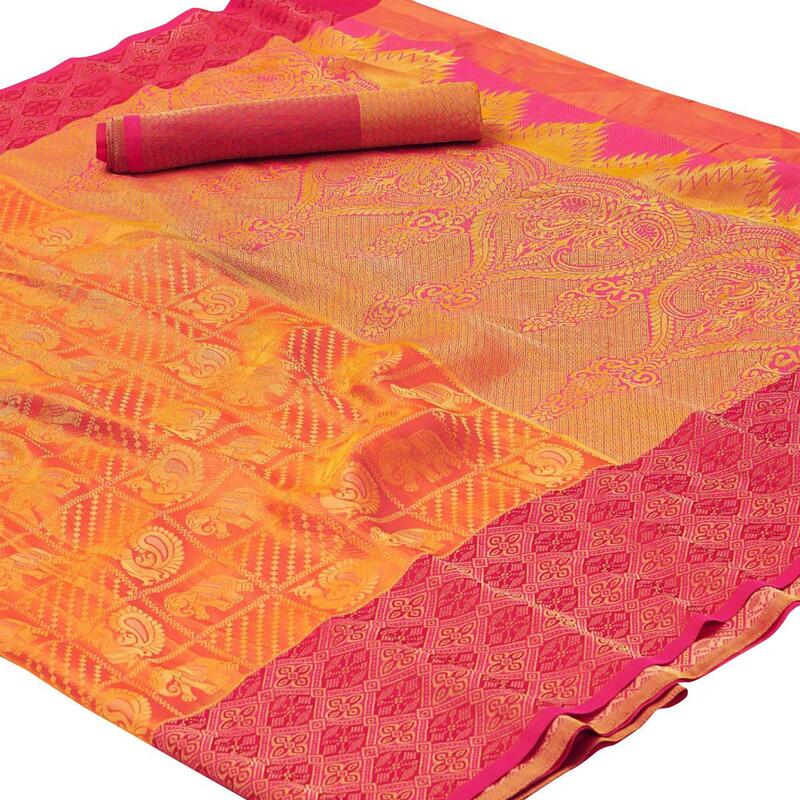 Be an angel and create and ascertain a smashing impact on everybody by carrying this yellow - pink colored silk saree. This saree look has been made rich with it's banarasi jari woven work done in abstract design as shown. 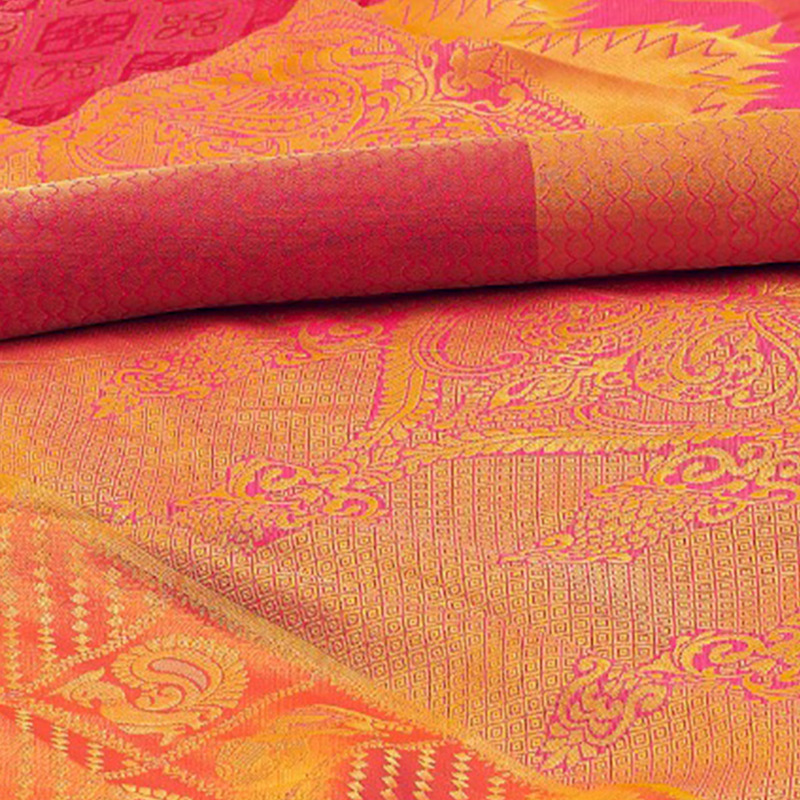 The contrast color short pallu adds the look of attire. Saree paired with unstitched silk fabric blouse that can be stitched as per your style & requirement, detailed with matching design woven work. Wear this saree for your next family functions, festivals or occasions, and let people admire you for your ethnic clothing choice. Pair it with traditional accessories to make your look more beautiful. Buy this saree now as it's a unique piece with attractive color combination which is rare to find.